The prosecutor’s office on Wednesday made a resolution on the continuation of the criminal prosecution of the prime minister in the resignation and the chairman of the ANO movement Andrej Babiš and the vice-chairman of the Jaroslav Faltýn movement. Spokesman of Prague prosecutors Štěpánek Zenklová said. Babis and Fattyn refuse accusations, he says they are purposeful. A resolution on Wednesday morning or Thursday morning will send the Public Prosecutor’s Office to the attorneys of the two deputies in the data boxes. After that, the 50-million EU subsidy case will be investigated for the construction of the Cape Hat farm. “The prosecutor’s office drafted a resolution that decided to continue the prosecution. The office will go to the lawyers’ data boxes on Wednesday or Thursday. In essence, it means that actions can be taken against both (Babis and Faltýnek), “said Zenklová. The Chamber of Deputies decided on the issue of the deputies on Friday, on Wednesday the state prosecutor received a notification from the police on the release of the Chamber of Deputies. The first members of the ANO delegation first released in September, a month later were accused. 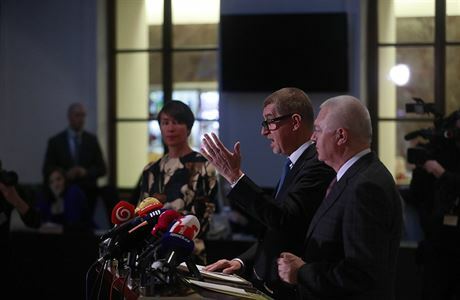 The prosecution was interrupted after the October parliamentary elections, when Babiš and Faltýnk again regained parliamentary mandates and thus immunity. Besides the two deputies, the police accused nine other people, including Babiš’s wife Monika Babišová and his two adult children from the first marriage. Against the resolution to initiate prosecution, a majority of the accused had filed a complaint several months ago, which Jaroslav Sharoch, the overseeing prosecutor, has not yet decided. Some charges, according to Zenkl, have also objected Sharoch’s objection to bias. “Almost all the accusations have filed a protest with the prosecutor that he is undercover and therefore can not decide on their complaints,” Zenkl explained. Šaroch dismissed the objection, but against his decision, but part of the defendants filed another complaint, which is now resolved by the Prague State Prosecutor’s Office. “Some of the accused complains about the bias have pulled back, but not yet. So the prosecutor does not have a file, he also wants to wait for the decision of the Supreme Public Prosecutor’s Office in Prague, “added Zenklová.